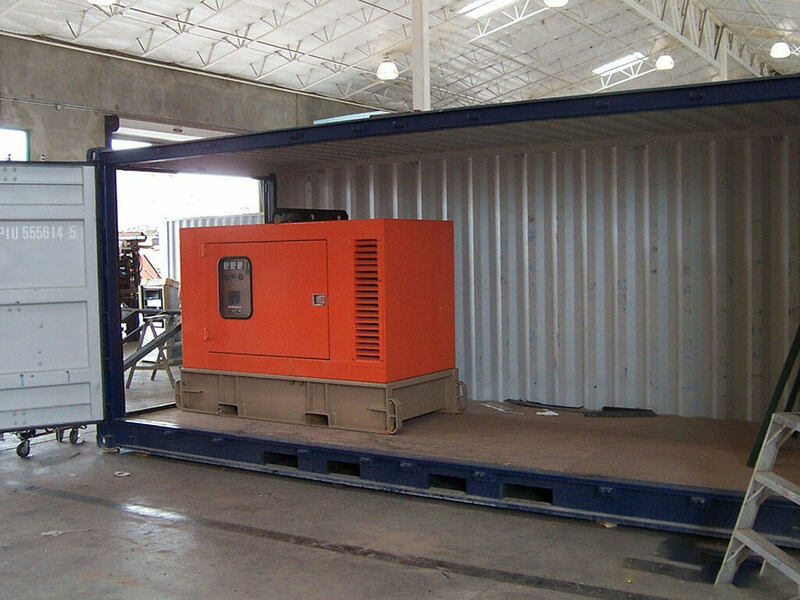 Closed view of Openside Container. 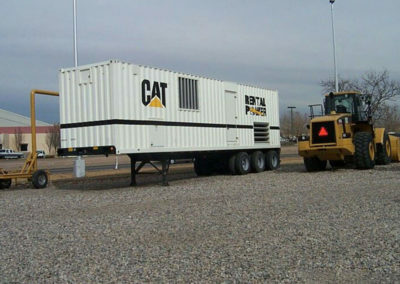 Specially modified containers provide an ideal operating environment for generators, protecting them from harsh weather conditions while providing common backup power accessories such as circuit breakers, automatic transfer switches and fuel tanks. 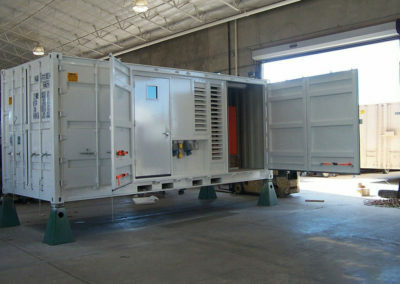 Maloy Mobile Storage custom modified 40’ container to be used as generator enclosure. 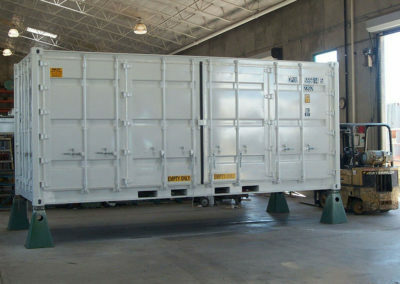 Four Double Swing Ply Metal Doors were installed and are removable. 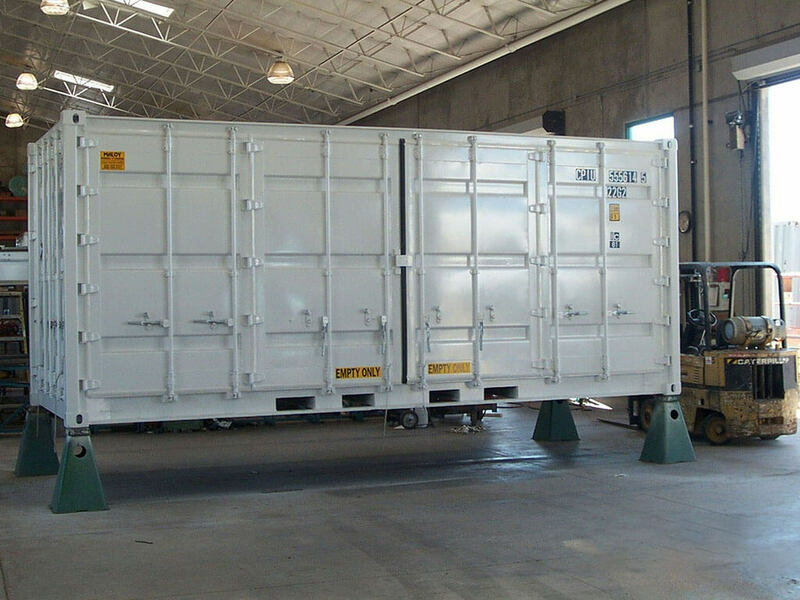 The container was painted with high quality industrial grade enamel paint-white. 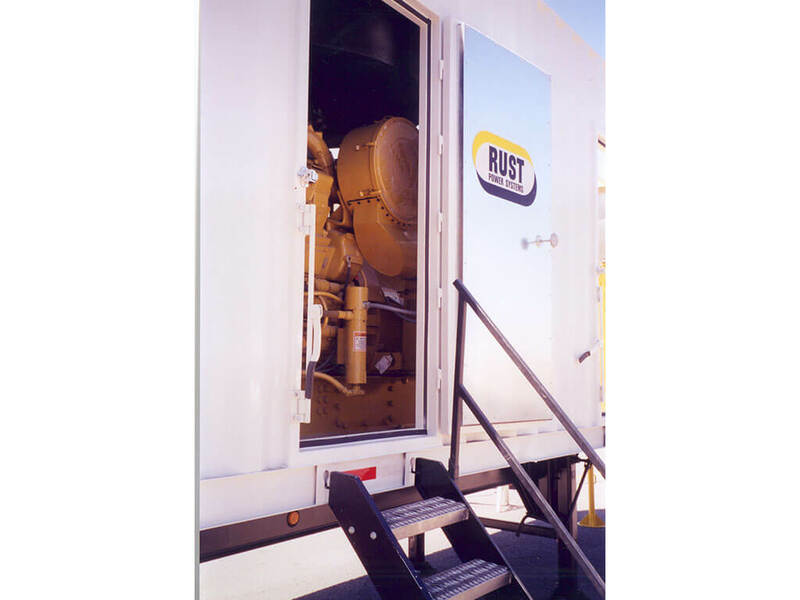 We mounted two air intake hoods, one on each side over existing air intakes. Provided drain holes and painted to match existing color. Plated over any open areas. Installed air discharge hood in front of radiator and removed existing louvers. 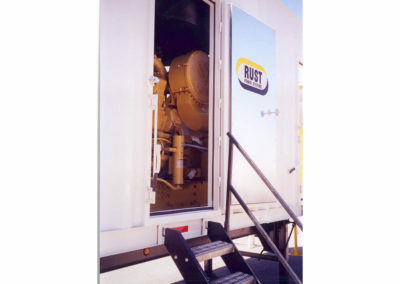 Vinyl covered noise control material was installed inside the walls, doors and ceiling of generator enclosure. 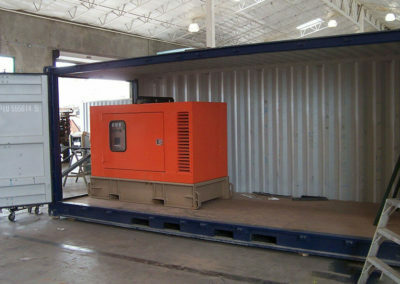 The project was completed on schedule and required no change orders. 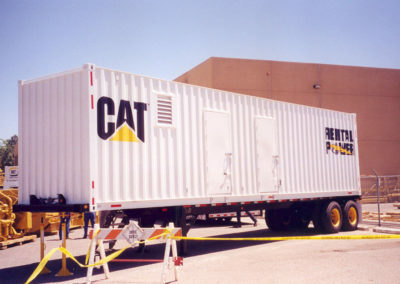 It was completed within the budget. 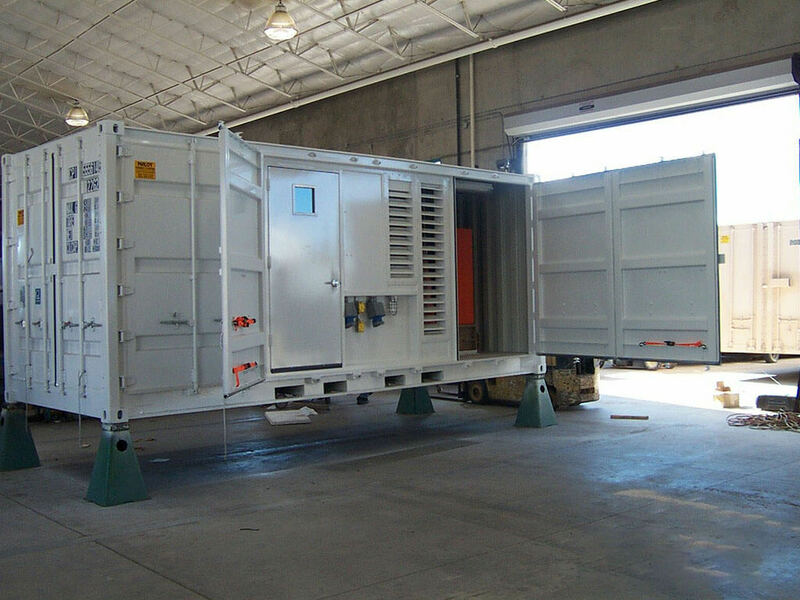 Another custom project completed by Maloy Mobile Storage was a 20’ open side custom modified container to be used as generator enclosure, built to withstand “at sea” operations in a harsh salt water environment. 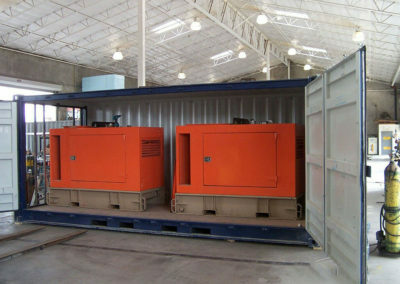 This project incorporated applying a nonskid surface on top of container, commercial grade steel door with steel skin; a 6” x 6” window, One 20’ False Wall behind double swing doors on long side of the container, fixed intake louvers, exhaust pipes and extensions, hot air exhaust ducts and louvers, 208v three phase 100 amp load center, quad receptacles, lighting, all wiring in conduit, Hubbell water tight connectors and completed with White Marine Grade Paint and weather resistant hardware. 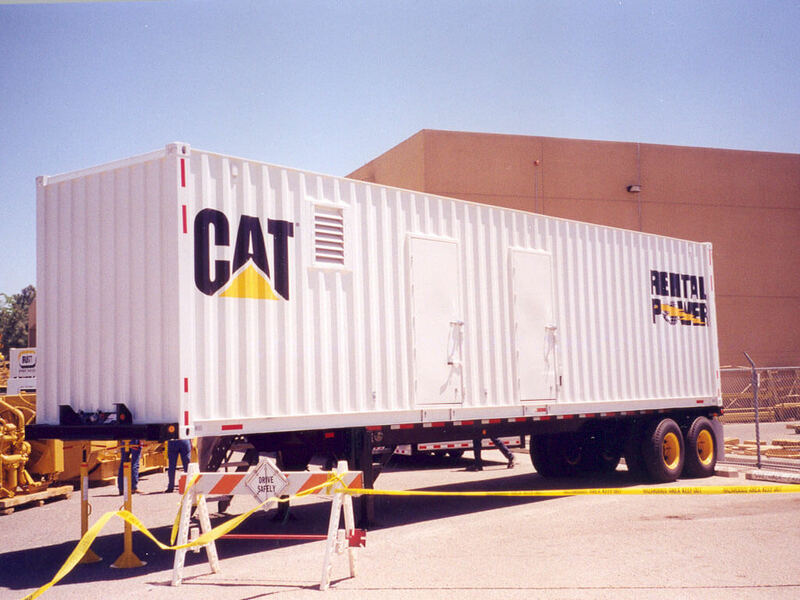 Maloy Mobile Storage has the ability with over thirty years’ experience and state of the art 18,000 square foot facility to build the generator enclosure any project requires. Generator enclosures can be separate units or incorporated areas in multiple modified containers. 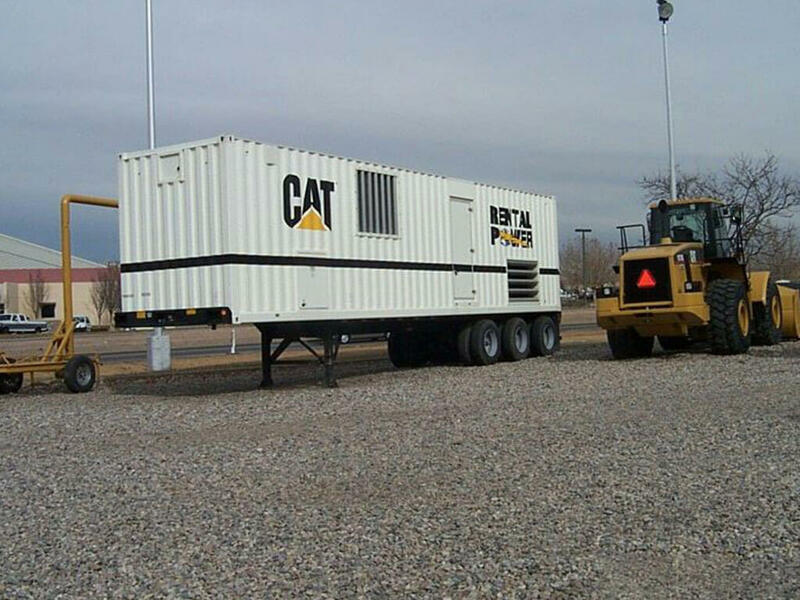 Call one of our experienced team members at 505-344-6123.